Psoriasis is a serious skin condition capable of impacting one’s life in a negative way if not controlled; the good news is that homeopathic psoriasis treatment is available to all. Career’s, relationships and confidence has been broken by this disease. 2 Who is most at risk of getting psoriasis? 3 How can I get treatment for psoriasis? 4 How can homeopathy help my situation with psoriasis? 5 How can I modify my lifestyle to reduce the severity of the psoriasis? Patients have been subjected to various forms of treatment which have led to only remission of its symptoms which then flare up after a while. This means that it is chronic and needs to be treated holistically, from within. Alternative therapies like homeopathy have indeed shown significant success rates among patients suffering from psoriasis. To fully understand how homeopathy can treat psoriasis, you first need to understand the cause of the disease itself. We will try and answer most of the questions you have about psoriasis. Who is most at risk of getting psoriasis? Modern science hasn’t been able to pin point the exact cause of the disease yet but a significant genetic predisposition angle exists among the scientific community. This means that if people in your family have psoriasis then chances are high that you may also develop the condition. Psoriasis is an autoimmune disease meaning the white blood cells (used to defend the body against attack) mistake healthy skin cells for harmful substances and start attacking them. When the skin cells are attacked, they respond by abnormally multiplying leading to a thickened skin and the shedding of scales. This results in red, raw peeling areas all over the skin. How can I get treatment for psoriasis? Most forms of treatment out there are only superficial; they work to improve the outer appearance of the skin, to reduce the itching and the redness. Topical applications that contain steroids and retinoids work on reducing the skin turnover rate and removing the scales from the affected areas. Phototherapy or exposing the skin to ultraviolet or UV rays, along with oral intake of Psolaren, works to inhibit the abnormal reproduction of the skin cells in psoriasis. If the psoriasis isn’t getting any better with any of the above treatments, the doctor may prescribe oral or injectable drugs like Retinoid, Cyclosporine or Methotrexate. These work by suppressing the immune system. All these forms of treatment have side effects that range from headaches, ulcerations, nauseas and sometimes may even lead to skin cancer if they are not properly administered. 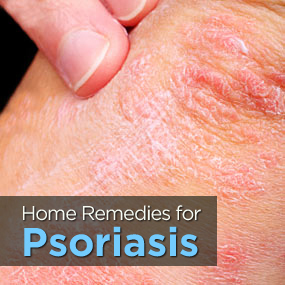 Alternative homeopathic psoriasis treatment has been known to help. Studies have shown that psoriasis patients experience a significant improvement in the quality of life as well as a reduction in their psoriasis symptoms with homeopathic treatment. This is all without any side effects whatsoever. Some people try out the conventional methods to no avail but experience great success with homeopathy. How can homeopathy help my situation with psoriasis? When affected with psoriasis, your immune system needs to be strengthened from within so that it is able to identify all your body cells as your own. The unique approach homeopathy takes is that it looks to assess the individual wholly and not just treat the symptoms that present themselves. The person’s temperament, the environment and the symptoms are all taken into account before prescribing a remedy to the patient. This is why no two people may receive the exact type of treatment when it comes to psoriasis. Basically it works on the principle of “Like treats like”. A very small dose of a substance that causes similar symptoms to the disease s diluted then packed into sugar pills. The pills are then given to psoriasis patients. With these small doses, the body recognizes its own skin cells and doesn’t attack them resulting on a reduction in severity of the condition. How can I modify my lifestyle to reduce the severity of the psoriasis? A home remedy that seems o help many people with psoriasis is the intake of flax seeds. 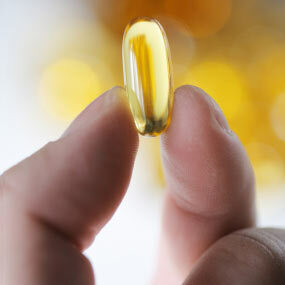 They contain omega-3 fatty acids which apparently modify the chain of events that start up the psoriasis. You can roast then grind the seeds in water and eat the paste just before breakfast and supper every day. Some of these steps may seem quite obvious but believe it or not they are also the hardest to stick to. Man is a creature of habit and once these habits take root they are hard to break. A lot of effort is needed to manage any form of psoriasis as it is a lifetime disease. Sticking to the beaten path will help you take it into remission for much longer periods and help you live a much more comfortable life. Remember, unfortunately psoriasis can’t be completely cured so all you can do is manage it. Remember, if you don’t take care of yourself, the psoriasis may elevate to chronic conditions some of which are life threatening. Don’t put your life at risk, take good care of yourself and the body will respond positively. A little life modification can go a long way in making your psoriasis manageable and maybe a homeopathic psoriasis treatment is all it may take. Reaction to the treatment may vary from individual to individual but generally homeopathic treatments work well.